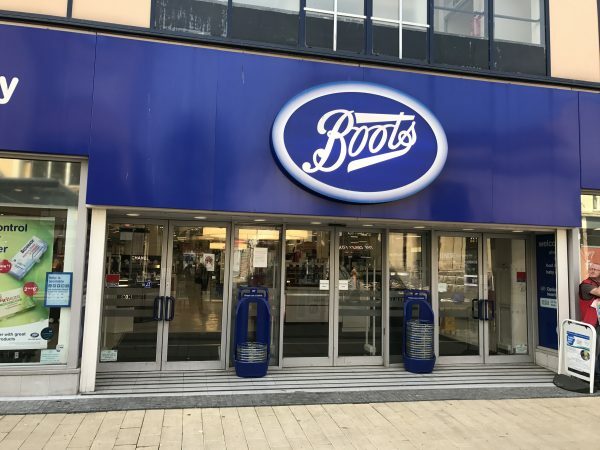 Britain’s best known health and beauty retailers flagship store, Boots in Broadmead is the number one destination for health and beauty shoppers. Available instore is a pharmacy, a Boots Opticians practice and a Photolab offering 1 hour production, as well as a comprehensive range of toiletries, cosmetics, and healthcare products. On the ground floor is the premium beauty area featuring Clinique, Clarins, Estee Lauder, Lancome, Elizabeth Arden, Benefit and No7. On the first floor you can find Electrical Beauty and the Baby department. Boots also offer the most generous loyalty card on the High St, the Advantage Card, where you collect four points for every pound spent. Drop off your old batteries at Boots, which you can enter via Broadmead or The Galleries, in the bin located by the photo department on the top floor.